The Mac port of Metal Gear Rising: Revengeance no longer works, thanks to a bit of DRM that has been rendered inoperable due to the ravages of time. As excellent as Metal Gear Rising is, the Mac version is perhaps not how you’d want to play it, but the issue raises a larger question about what happens when support ends for games with unique forms of DRM. Metal Gear Rising was ported to Mac, and compatibility with OS X was an advertised feature on the game’s Steam page – though not anymore. The DRM for this version of the game has to connect to an online server every time you launch, and the company that built the port no longer exists – meaning there’s nowhere for that check to arrive, and no one to make a patch for the game. These the very best PC games. The issue was noted by a Redditor this week. The port was created by a company called TransGaming, which at the time specialized in bringing Windows games to Mac. Nvidia purchased the company’s Graphics and Portability Group in 2015, and TransGaming itself became Findev in 2016, divesting itself from the game business to focus, instead, on real estate financing. Based on an ancient (by internet standards) press release, TransGaming made use of SecuROM for all its titles. Those games were ported to Mac via the company’s proprietary Cider technology, which in turn was built from popular Windows portability solution Wine. Rising likely makes use of SecuROM, but without a company to call home to, it’s been apparently inoperable since March of 2017. 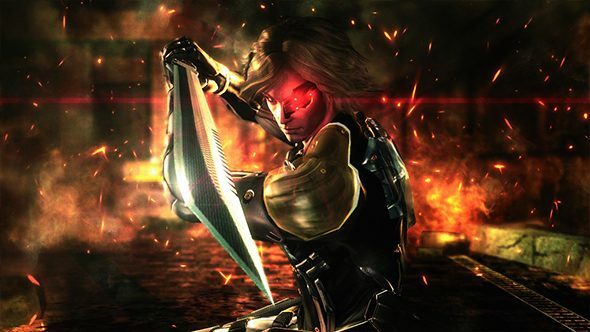 Of course, the Windows version of Metal Gear Rising still works just fine, so if you’ve bought the game on Steam you can still guide Raiden through its excellent action. There are other options to keep playing Rising on Mac, even – both legal and otherwise – but the fact that a game can go down thanks to nobody considering the future of their DRM solution makes for a concerning precedent.